The concept of “fair” is not the sole province of children. 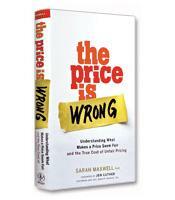 According to Sarah Maxwell, author of The Price is Wrong: Understanding What Makes a Price Seem Fair and the True Cost of Unfair Pricing, consumers spend a considerable amount of time and energy evaluating and reacting to fairness in pricing. Maxwell deconstructs fair pricing, examining its component elements through the lenses of both personal and social fairness. She utilizes these distinctions because the difference between personal and social fairness is “the difference between a price you prefer because it meets your own personal standards and a price you judge acceptable because it meets society’s standards.” It is a violation of social fairness that elicits strong negative response among consumers, and Maxwell illustrates how social fairness is the benchmark by which companies should determine pricing. Maxwell details psychological and sociological elements such as emotions, expectations, the desire to punish perceived transgressions, and trust, discussing in depth how each factor combines to form a model for fair pricing. Through the use of multiple examples and real-life applications, Maxwell illustrates the important part each of these concepts plays in how we perceive fairness in the marketplace. Maxwell does not leave her reader adrift in a sea of abstract concepts. 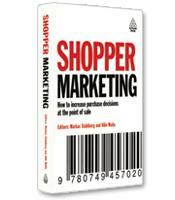 She provides a range of real-life applications to illustrate her model. In one particularly interesting example, she discusses tipping and how tipping wait staff has become a social norm in the United States, despite this country’s initial objection to the act, while it has since lost favor in Europe, where it originated. She raises intriguing questions on this subject, such as why it is not acceptable to tip your mother-in-law for a dinner well done, but it is expected that you tip your server in a restaurant. Maxwell utilizes examples, in addition to tipping, including taxes, negotiations, and culture to demonstrate how consumers react to unfair pricing, basing many of their actions and reactions on emotional response, and how the relationship between buyers and sellers is a dynamic, ever-changing one that is most beneficial to both parties when an essential level of trust exists between them. In The Price Is Wrong, Maxwell presents a thoroughly-researched, well-documented examination of price fairness. However, her approach is more suited to the general public rather than the business person already enmeshed in the nuanced dance of providing consumers with what they perceive as fair pricing while still garnering profit for the company. 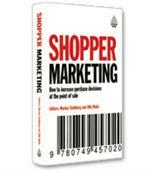 Her final chapter does briefly touch upon the practices of effective fair pricing; however, it is her explanation of how consumers react, often viscerally and emotionally, to pricing that will prove the most useful for understanding the importance for fair pricing practices. Maxwell presents her arguments in a clear, well-organized manner that avoids slipping into the abstract through the use of concrete examples, many of which serve the dual purpose of entertaining as well as educating her reader.